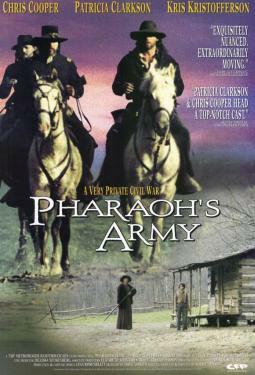 During the American Civil War, a Union Army Captain leads his rag-tag cavalry troop up a misty creek in the Cumberland Mountains of Kentucky. They come across a small, remote farm worked by Sarah Anders, a proud and defiant woman whose husband fights for the Confederates and whose daughter has been recently killed by the Yankees. She and her young son valiantly defend their dwindling food supply and remaining livestock but they are severely outnumbered. When one of the soldiers is badly wounded, the unit holes up at the farm. The tiny house is ovewhelmed by the presence of the injured man and his Captain who nurses him; always patiently by his side. The stifling quarters force Sarah and the Captain into conversation and slowly, with great reluctance, their defenses begin to lower. And as the days pass they begin to realize that while the war might divide the North and South, there is no division between suffering and loss.